Many more high resolution pictures available. 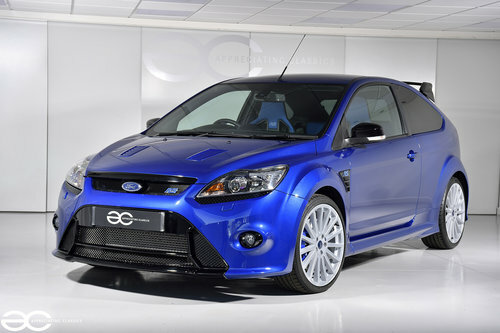 A truly stunning MK2 Ford Focus RS, in the desirable Performance Blue. 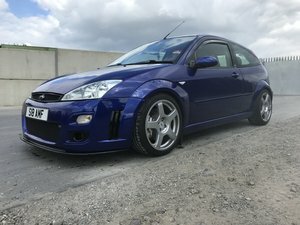 We all know that a nice mileage, original MK2 Focus RS is a great future investment, and they do not come much better than this one! 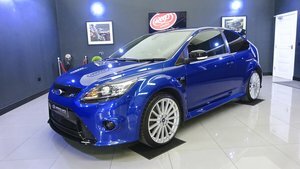 Registered new 28/04/2010, this Focus RS was ordered in the desirable Performance Blue with LUX 1 option package. 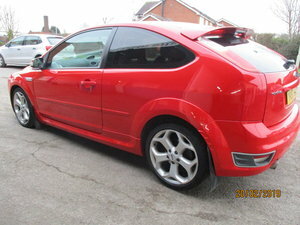 rear parking sensors , deflation detection system , and keyless entry. The car also has the Bluetooth/USB option. 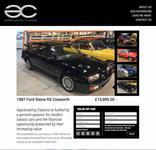 The car remained with the original owner until June 2015, when the car was purchased by the second owner, who sold the car shortly afterwards as it was far too good to be used other than in perfect weather conditions. 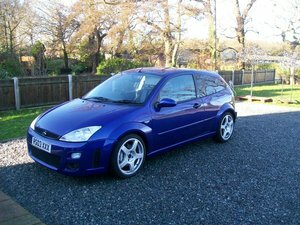 The car will have 12 months MOT applied at time of sale. None of the usual scuffs, scratches, dents or even stone chips other than maybe two very tiny chips which are really very small. 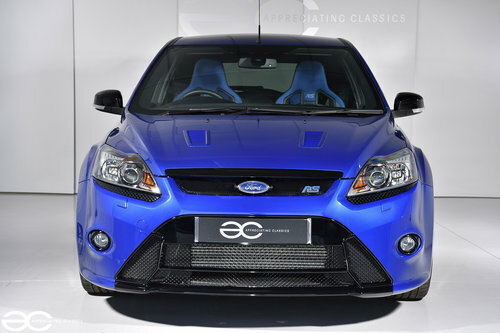 The original owner opted for the standard seat option as he liked the blue trimmed seats, and with this being only the second Focus RS we have had without the Dynamica seats, we are inclined to agree, that the blue seats are striking, and make a refreshing change. The car also benefits from the Bluetooth/USB option. The rear seats have simply never been used, and the passenger seats has been used only a couple of times. 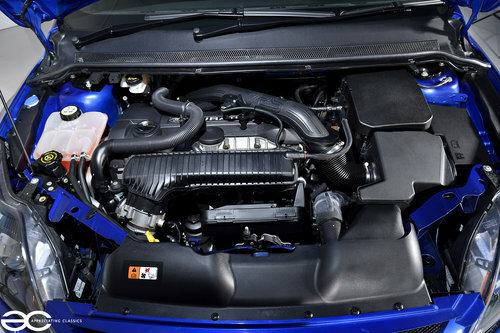 The underside of this car is in great condition with no corrosion, no damage to any underside plastics, and the original, unblemished finish on all components. Even all the original labels are in place and as new. The wheels are also unmarked, in original paint. 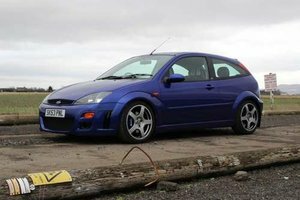 Of course, the car drives like new, with very good braking power, excellent gearbox and very strong performance, even by today’s hot hatch standards.